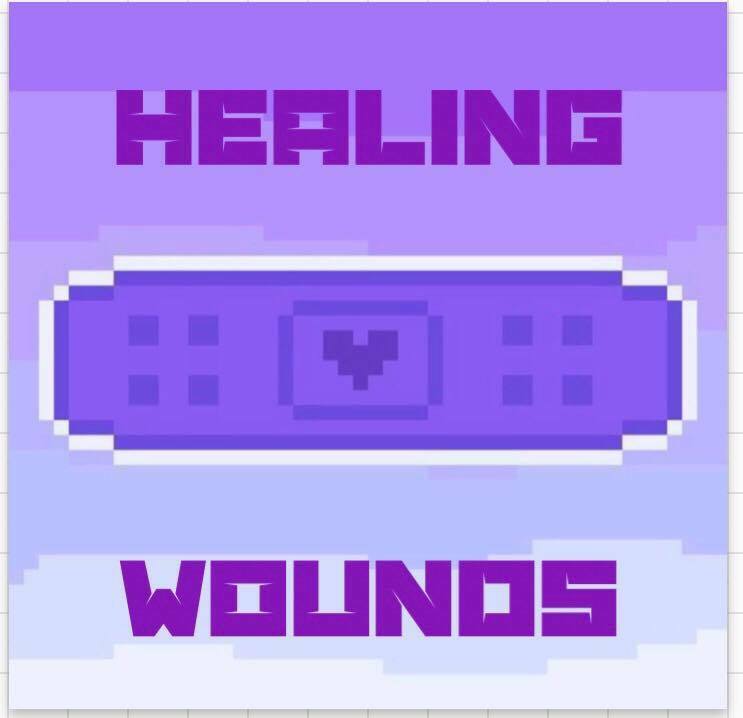 Gather round for a story about wounds and the evil things that prevent proper healing. It’s the same old tale of woe with all the usual suspects. Stress, low thyroid, inflammation, bacterial endotoxin, serotonin and PUFAs have been named. Sugar, the legendary hero, comes to the rescue again. It’s true that how quickly and how well a wound is able to heal, is impacted upon by a variety of forces. This does not mean however, that there is no rhyme or reason behind why one wound heals easily, and another becomes a problem. Unfortunately, this also does not mean that the best methods for making wound healing safer and more effective, are well known or commonly applied. It’s safe to say that most people will not be aware of the fact that the topical application of plain white sugar has a long history in the treatment of serious, chronic, acute, and sometimes even life threatening wounds. But that is the truth. In fact simple white sugar – if applied to a wound – has been shown to be able to protect against dangerous bacterial infections, to dramatically speed up healing, and to significantly reduce scarring. If not for biology, it would seem like a miracle. 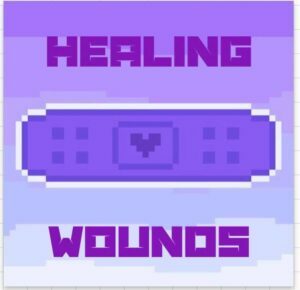 But what is probably even less well known, however, is the fact that how well a wound is able to heal has a lot to do with internal circumstances, not just outside influences. The state of things in the body. The degree of exposure to stress and the condition of metabolism. Considering the kinds of diets being promoted as healthy today, it isn’t surprising that most are probably unaware that dietary changes can improve wound recovery. And one could be forgiven for being shocked to find out that, not only can applying sugar directly to a wound be a miraculous helper, eating sugar in the context of an appropriate diet, can also (for similar reasons) be very helpful. Even though the position of a wound (as well as many external interfering factors like temperature and moisture for instance) impacts upon how difficult it will be for it to heal, metabolic function is fundamental. If that wasn’t the case there would likely not be a relationship between wound healing capability and metabolic illness, such as diabetes, cancer, heart disease, arthritis, perhaps even depression. I’m not going to go too much into the mechanisms involved in the wound healing process, partly because I’m not a physiologist or a wound specialist of any sort, and partly because I’m not sure how helpful it always is, as often what’s really important ends up getting lost in the details. It’s too much biological stress which is I think in general, probably the important thing when it comes to interfering with the wound healing process. The question which I believe needs to be asked is, what is inhibiting the availability of energy required to deal with the stress of an injury to tissue. So it’s probably no surprise to discover that when thyroid energy metabolism is already being interfered with, any stress will be more difficult to manage effectively. Blood sugar regulation issues and thyroid dysfunction often go together, and it is well known that the diabetic state is one in which wound healing is severely compromised. If I didn’t know better, I would say it was ironic that topical application of sugar is so effective when it comes to healing diabetic ulcers. One thing that is happening more these days under conditions of stress and low sugar availability, is exposure to the the polyunsaturated fats (PUFAs), which (due to dramatically increased consumption) get released out of storage into the blood stream in far greater amounts than ever before in conceivable history. The PUFA breakdown products have been shown to be involved in the interference with proper wound healing capabilities, as well as being known to promote the kind of chronic inflammatory energy system impaired state which can prevent effective healing. PUFA breakdown promotes physiological stress in general, and this tends to lead to an increase in exposure to many substances which have been found at the scene of the chronic wound. Bacterial endotoxin exposure, high cortisol and excessive levels of serotonin, nitric oxide and estrogen – stress substances which are involved in the progression of the diabetic state, cancer and heart disease – have all been implicated in the processes which are involved in preventing proper wound healing. A stressed metabolism with rising levels of the thyroid inhibiting substances, endotoxin, nitric oxide, serotonin and estrogen, goes together with increased production of lactic acid and reduced production of carbon dioxide. High lactate in wounds has been shown to be a marker for chronicity, and CO2 therapy – as with thyroid hormone application – has had success in the treatment of chronic ulcers and other serious wounds. Even though it would be a stretch to assume that a well functioning system will be able to effectively deal with any wound regardless of where on the body it is, or the kind of environment it is exposed to, it makes little sense to ignore evidence showing the enormous impact metabolic health has upon wound repair capability. And it makes even less sense to disregard the positive impact a pro-metabolic diet can have with regards to protection against stress, at a general and local level. Regardless, when assistance is required, you want to know that the help you are receiving is actually helping, and you also want to know if there is something out there that has been shown to help even more. The pro-thyroid, pro-CO2 influence of both the consumption and the topical application of sugar, is relevant to safe and effective wound healing, and to me, anti-sugar propaganda is symbolic of everything that is wrong with the scientific/medical establishment. Of course, I’m no doctor or health practitioner of any sort, and none of this is intended as medical or health advice. But the science attached is real, so if you’re searching for answers, at the very least it’s probably worth a look. A pro-metabolic, thyroid enhancing diet, that avoids PUFAs and includes sufficient protein from good quality, highly assimilable protein sources like milk and cheese and gelatin, and plenty of sugar from sweet ripe fruit, fruit juice and white sugar, helps to protect against stress and the symptoms and complications of metabolic dysfunction, including sub-optimal wound healing. Some other things (apart from topical sugar, honey, thyroid hormone and CO2) which have been used (in some cases both topically and internally) to improve wound healing and protect against infection, include red light, methylene blue, aspirin, coconut oil, taurine, activated charcoal, minocycline and possibly even cyproheptadine and some other stress reducing substances. I have used sugar on my own wounds over the years with very positive results, and having read through many studies, I find the evidence to be convincing. We already have so many miraculous ways to protect against metabolic illness, and to deal with life threatening wounds, so let us not pretend that what we are waiting for, is for the scientists to figure out what is going on. Perceived stress and cortisol levels predict speed of wound healing in healthy male adults. A role for thyroid hormone in wound healing through keratin gene expression. Treatment of recurrent postoperative mediastinitis with granulated sugar. Why do some cavity wounds treated with honey or sugar paste heal without scarring? Sugar inhibits the production of the toxins that trigger clostridial gas gangrene. Mixture of sugar and povidone–iodine stimulates wound healing by activating keratinocytes and fibroblast functions. Topical Minocycline Effectively Decontaminates and Reduces Inflammation in Infected Porcine Wounds. Role of endotoxin in wound healing impairment. Practical considerations of using topical honey for neuropathic diabetic foot ulcers: a review. Effect of topical honey on limitation of radiation-induced oral mucositis: an intervention study. Photodynamic therapy mediated by methylene blue dye in wound healing. Selective inhibition of COX-2 improves cutaneous wound healing of pressure ulcers in mice through reduction of iNOS expression. Bacterial toxins and wound healing. Case series of lower-extremity chronic wounds managed with an antibacterial foam dressing bound with gentian violet and methylene blue. Aspirin treatment for chronic wounds: Potential beneficial and inhibitory effects. Wound-healing factors can prime head and neck cancer cells to increase their tumor-forming capacity. Effects of honey and sugar dressings on wound healing. The influence of hypothyroidism on wound healing. An experimental study. Relationship of hyperglycemia and surgical-site infection in orthopaedic surgery. Effects of L-thyroxine and zinc therapy on wound healing in hypothyroid rats. Tracheal suture in rats with hypothyroidism: wound healing study. The role of carbon dioxide therapy in the treatment of chronic wounds. Oxidative stress in normal and impaired wound repair. Local photodynamic action of methylene blue favorably modulates the postinterventional vascular wound healing response. Effect of taurine on wound healing. CO2 Delivery To Accelerate Incisional Wound Healing Following Single Irradiation of Near-Infrared Lamp on the Coordinated Colloids. Inhibition of lipid peroxidation restores impaired vascular endothelial growth factor expression and stimulates wound healing and angiogenesis in the genetically diabetic mouse. Healing effect of ketanserin on chronic leg ulcers in patients with diabetes. Effects of a serotonin S2-receptor blocker on healing of acute and chronic tendon injuries. The lactate conundrum in wound healing: clinical and experimental findings indicate the requirement for a rapid point-of-care diagnostic. Wound healing and diabetes mellitus. Congestive heart failure presence predicts delayed healing of foot ulcers in diabetes: An audit from a multidisciplinary high-risk foot clinic. Heart failure in hospitalized patients with diabetic foot ulcers: clinical characteristics and their relationship with prognosis. Psychological factors and delayed healing in chronic wounds. [Heart failure and stasis ulcer: A significant association (prospective study of 100 cases)]. Rheumatoid arthritis-associated inflammatory leg ulcers: a new treatment for recalcitrant wounds. Lipid peroxidation inhibition by raxofelast improves angiogenesis and wound healing in experimental burn wounds. Promotion of cutaneous wound healing by famotidine in Wistar rats. Antioxidant status during cutaneous wound healing in immunocompromised rats. Reactive carbonyl compounds impair wound healing by vimentin collapse and loss of the primary cilium. A Grain Of Salt Restriction. Next story Are You Running On Empty?